Looking for professional Tile and grout cleaners? The Carpet Cleaning for Perth is the Western Australia’s leading hard surface cleaning company, making Carpet Cleaning for Perth your best choice for Tile and grout cleaners in your local area, Western Australia. Our well-trained and experienced technicians will provide the best tile and grout cleaning service for your home or business. 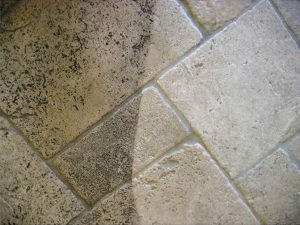 Even the most beautiful and expensive tile can appear dingy and unattractive when surrounded by dirty or stained grout. Foot traffic, spills, improper cleaning methods and products can all cause tile and grout to look unappealing, but Carpet Cleaning for Perth tile and grout cleaning service is the perfect solution to make them look brand new. spreads germs which can make you sick. Tile and grout in the kitchen and bathroom are most likely to get dirt fast as they frequently interacted with water and moisture. They look dirty and in some cases, you might also find black patches in the grouting. Our Tile and grout cleaning service will help you clean your dirty tile and grout and make it looks new. We have professional cleaners who have more that 10 years of experience in tile and grout cleaning. Our professionally trained cleaners have skills to remove mould, mildew and bacteria from floor. We guaranteed the best affordable price and excellent service. We believe in good customer relationship and we take good care of customers. 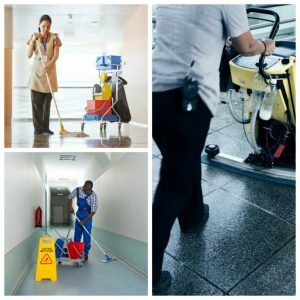 Our vision and mission is to provide 100% satisfaction to the customer and provide the best cleaning service in Western Australia. We provide you easy quote over the phone or drop an email and we will get back to you shortly. After using a grout brush to scrape and clean off any of the unnecessary dirt and grime, the next step is to use a grout cleaner with a pH neutral chemical solution. For these experts, pH neutral products are incredibly important. In this philosophy of cleaning, chemical products that are high in pH can actually damage your grout either by dissolving it or pitting it. Inside these weakened areas of grout is where mould and dirt can begin to accumulate and end up not being able to be cleaned out. This is why this idea of tile and grout cleaning involves using pH-neutral products, weekly scrubbing, and also restoring grout once a year. When you are all done, put on a new grout sealant to ensure that your grout is continuing to work as it is supposed to by keeping your tile together and the dirt out. This method of tile and grout cleaning is probably one of the least invasive but it is one that requires specialized equipment. Because of this, it is the most likely type to be used by highly professional steam cleaners. Steam is a fantastic cleaner not just of tile and grout but nearly all surfaces as long as it is not laminated wood. The high heat from the steam will actually sterilize an area and kill any mould or bacterial growth. It is a fantastic cleaning method to use on your tile in your bathroom and around your sink or stove because it will get rid of a lot of deep set-in dirt and grease and it can be utilized on almost any surface safely. Steam cleaning is also a fantastic way to be able to clean that tile that happens to be around your stove. Steam will help get rid of stains as well as grease. One of the additional benefits of cleaning using steam power is its non-toxic nature. All you are doing is using superheated water. Thus it is safe for children and you do not need to worry about any chemical residue left over in your kitchen or your bathroom. When it is all done the only thing left is water vapor. If you can clean with steam, this should be the preferred method you use. You can always go for more drastic measures later but steam cleaning is powerful, gentle, and non-toxic, and it is a great method for cleaning your tile and grout. Carpet Cleaning for Perth is the best tile and grout cleaning company who provides good quality service in an affordable price across Western Australia. Call us today for tile and grout cleaning on 0424 470 460 or alternatively email us at sales@carpetcleaningforperth.com.au. You can also fill out easy quote form.